The new Xbox Insider preview build 1703.170118-1900 is now available. A new Xbox One features packed build rs2_xbox_rel_1703.170118-1900 for Creators Update is now rolling out for Xbox Insider members. An updated look at Home: The new update brings a new look for Home screen. The new Home screen is optimized for speed and is surfacing to you the most valuable content for your games. You’ll notice the main tile for what you’re currently playing has changed. Now, you’ll see a smaller icon for the game and a few options to dive deeper into the Game Hub, interact with your Club or LFG for that game, view your Achievements, and more. The updated Home also celebrates the game you’re currently playing with hero art in the background when you’re not using a custom background. Faster and more intuitive Guide: With one press of the Xbox button on your controller, you can pull up the newly enhanced Guide as an overlay on the left side of your screen. A new start page is designed to get you to the content you care about most, including your games and apps, Home, Store, your recently played games and apps, and your top Pins. It also features quick access to your media controls when playing background music. A new way to multitask: Insider team is also evolving our multitasking system. To simplify discoverability and to make it much quicker to get to the things you care about most, our multitasking features will also be designed to work well with the new Guide. In addition to quick access to music, screenshots and GameDVR will be one button press away. You can bring up Guide and press “X” or “Y” on your controller to record your favorite gaming moments. The new update also added a new achievement tracker which allows you to track your favorite achievements and play at the same time. The new Guide is also where you will be able to broadcast instantly to Beam when we roll that out to Insiders in the next couple of weeks. Cortana gaming enhancements: With the latest update you can now set reminders and alarms so you don’t miss gaming sessions. 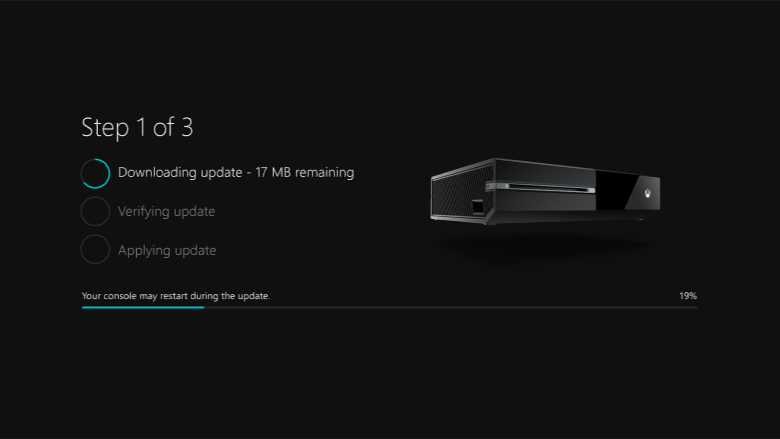 Improving system updates: Xbox One Insider team updated the interface so the steps are easy to understand. Now every Xbox One owner is able to keep their console, games, and apps up to date independent of which power mode they have chosen. Enabling Xbox One to be accessible for everyone: New Copilot feature will allows two controllers to act as if they were one. 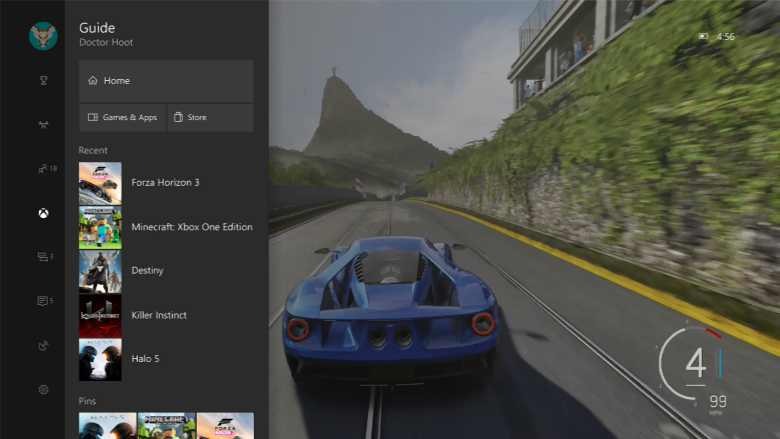 This will help make Xbox One more inviting to new gamers needing assistance, more fun by adding cooperative controls for any game, and easier for players who need unique configurations to play. 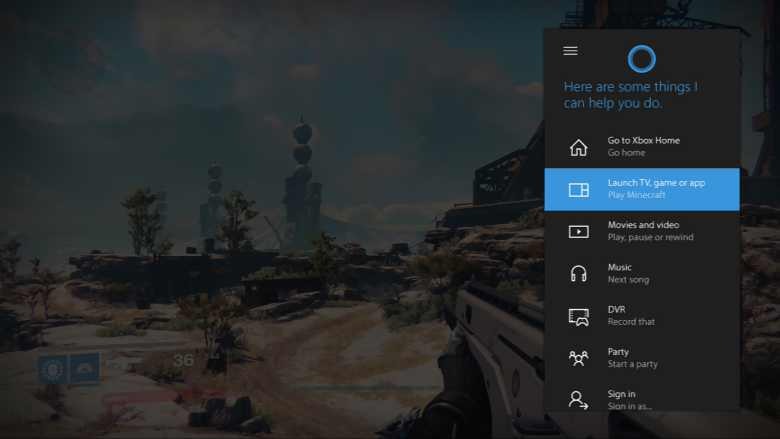 Team is also adding new enhancements to Magnifier and Narrator, as well as giving more options over audio output and custom rumble settings on a controller, which was previously reserved for the Xbox Elite Controller. You can find these accessibility options, and more, in Settings > Ease of Access. New spatial audio output settings for developers: The update has added a number of audio output features in Settings. If you are a developer on Xbox One, the new settings will allow you to add Dolby Atmos for Home Theater, Dolby Atmos for Headphones, and Windows HRTF support to your streaming media application or game. • Controllers & accessories When a steering wheel accessory is connected, the console interface may freeze and become unresponsive. Workaround: Disconnect the steering wheel accessory, and hard reset the console (hold down the button on the front of the console for five seconds until it fully powers down, then power it back on). • Sign-in With profile sign-in settings set to “Lock it down”, you may be unable to sign-in again playing a game, then signing out. Workaround: Hard reset the console (hold down the button on the front of the console for five seconds until it fully powers down, then power it back on). • VUDU VUDU may fail to launch or videos may fail to play due to a connecting to network error. • Apps You may be unable to fully navigate in certain apps due to the lack of a cursor. The affected apps include, but are not limited to: Baconit, British Radio, American Radio, UrzaGatherer, and MSN Weather. • EA Access If you have an EA Access subscription and own a large number of digital games or apps, you may have issues installing or playing EA Access content. • Jump Guide Microsoft Edge webpages which are pinned in the Jump Guide fail to launch the webpage. • Screen Dimming The screen may dim after a short amount of time while viewing videos in certain apps (Hulu Plus). • Settings – Ease of Access When enabling the Mono output setting in Ease of Access – Audio, Settings becomes unresponsive, crashes, and fails to launch on subsequent attempts. Workaround: To launch Settings, perform a hard reset (hold down the button on the front of the console for five seconds until it fully powers down, then power it back on). • Settings – Display & sound The Audio output page is under construction and some of the new settings are not yet functional. New support is planned for Dolby Atmos for home theater, Dolby Atmos for headphones, and more in upcoming builds. An announcement will be made when these new features are ready to try out; enabling these settings now will have no effect. NOTE: Once the update is available to you, you can manually begin the update by launching the Guide and navigating to All Settings > System > Console info & updates and check for rs2_xbox_rel_1703.170118-1900.